Winter has already hit Canada, and we are approaching the Holidays very quickly. With Holidays come the purchasing of presents and quite often credit utilization. As credit history is one of several main components of a qualifying for a mortgage, budgeting for the Holidays and, furthermore, not maxing out your credit can avoid negative surprises in 2016. While building a budget, you need to ask yourself one of the many important questions: “What is my Holiday budget, based on my current financial situation?” The answer to this question will take into consideration your credit utilization and your future projects and goals. Several elements are considered when it comes to your Credit Score also taking into consideration your homeownership goals. As a first time home buyer, are you or will you be saving for a Down Payment? As an existing homeowner, maybe you will be looking at refinancing or renewing your mortgage? 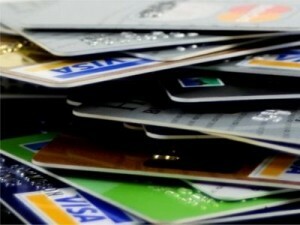 3- What does my credit utilization look like? Have I made any late payments recently? What is my actual percentage used of my credit limits? Getting by making the minimum payment is not enough. Add on Holiday spending, and even your minimum payments can become no longer affordable. Keep in mind that credit delinquency appears for 6 years on your Credit Report, therefore maxing out your credit might not be worth it. Just remember, your friends and family wouldn’t want you to go into debt for the holidays. After Christmas, to get a handle on credit card debt, make a list of your unpaid balances, match them with their interest rate, and pay down the one with the higher interest rate first.